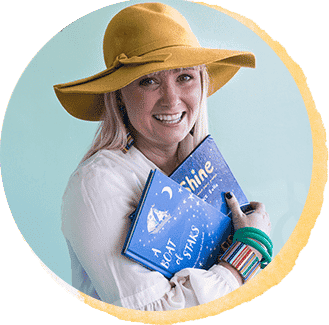 ‘The Incredible Freedom Machines’ is Kirli Saunders debut children’s book and you can read my full review of of this exceptional book here. 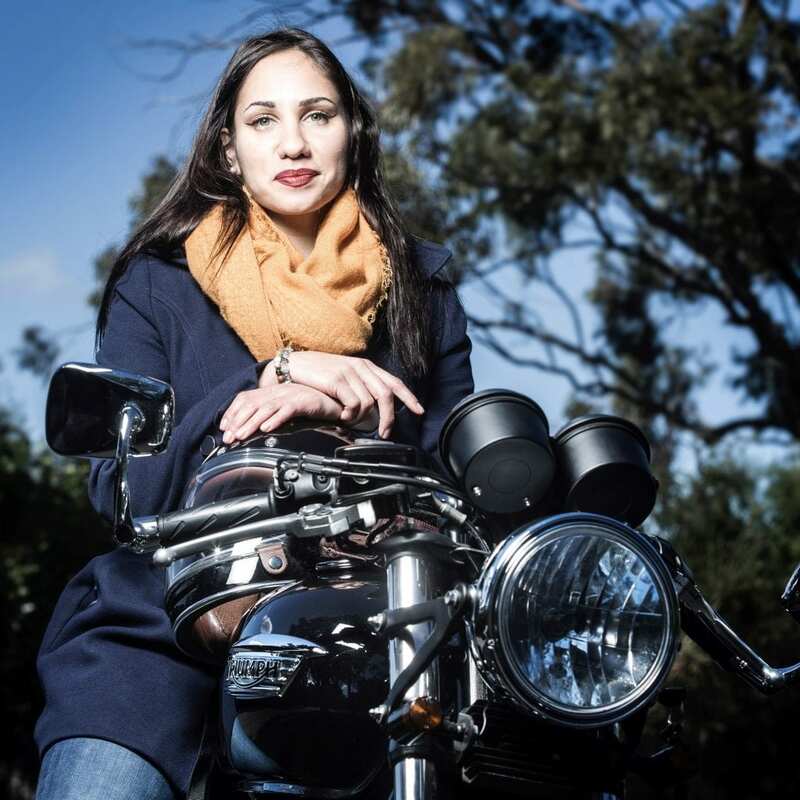 I came across Kirli Saunders on the website of a motorcycle shop of all places – right here! Granted that motorcycle shop is owned by avid readers – if you’re a reader and a motorbike enthusiast – City Coast Motorcycles is for you. My husband Dan was a huge motorbike fan and I know he would have loved ‘The Incredible Freedom Machines’ as he often talked about the sense of freedom that motorbiking gave him. Me? Never quite understood motorbikes, but I love the idea that we can all search for our own Freedom Machine. I have so enjoyed learning a little more about Kirli – I predict great and wonderful things, and many shiny award stickers on book covers, in her literary future, In fact just this week it was announced that ‘The Incredible Freedom Machines’ will be released in Canada in 2019. Click on title or cover links to read more about ‘The Incredible Freedom Machines’ or to purchase. ‘The Incredible Freedom Machines’ is my debut picture book. 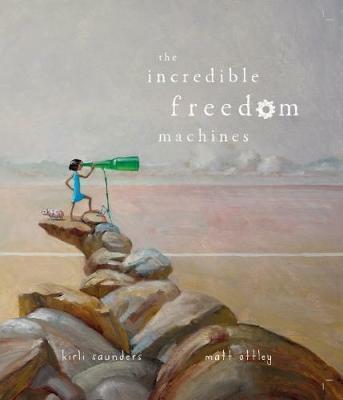 It’s illustrated by Matt Ottley and tells the story of a little girl and her adventures with her Freedom Machine. 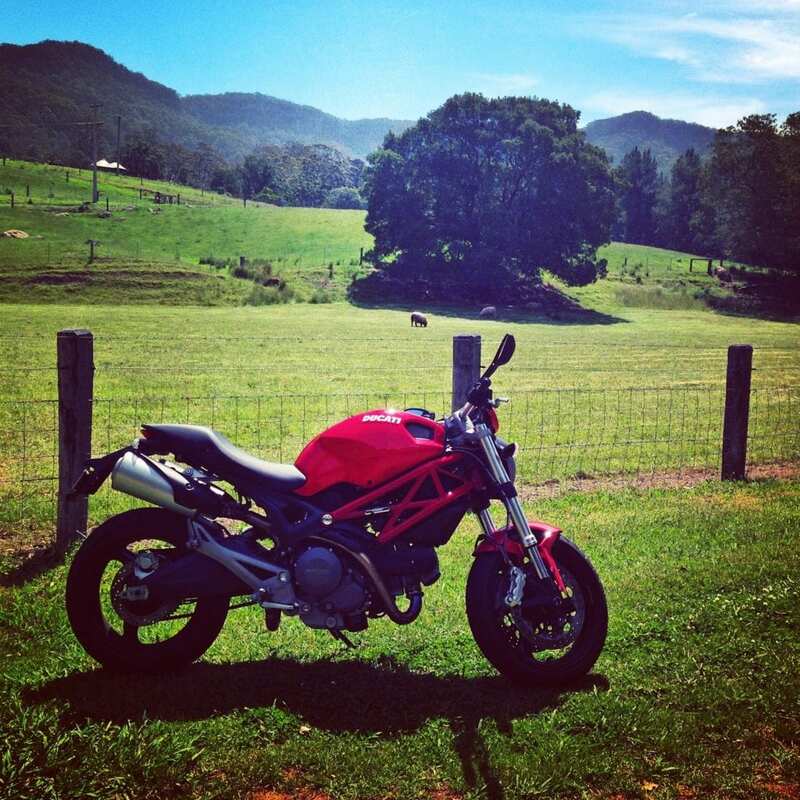 I wrote this book after riding my motorcycle, Valentino [a red Ducati Monster 659] through the Royal National Park and along the coast road. The manuscript in its entirety poured from my leathers and onto the page as I sipped tea. I’d been moving through a rough time when I bought my motorcycle and I found adventuring on my Freedom Machine to be a really healing experience. My collection of Freedom Machines now includes a surf board, skate board and a Triumph Thruxton 900. Motorcycles have always played a big part in my family; one of my earliest memories is sitting on top of Dad’s BSA, polishing as far as my arms would reach. We recently lost my Pop, who always loved classic British racers and definitely helped shape my own love for Triumphs, Nortons and BSAs. The dedication in my book is for ‘those men who fuelled my love of life on two wheels’, which includes my dear Poppo. He didn’t get to see this book but I’m sure the artist in him would have loved it. I loved drawing and painting as a child but didn’t really see myself as a writer until my senior years at High School, when my English teacher taught us poetry. My dream of becoming a children’s author was enlivened at 19, after one of my favourite illustrators, Shaun Tan personally replied to a copy of a manuscript with handwritten notes of encouragement. I feel incredibly humbled by my journey into publishing as it was largely unorthodox. 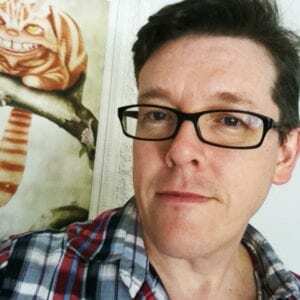 One afternoon, I worked up the courage to send ‘The Incredible Freedom Machines’ manuscript to Matt Ottley, with the daring subject line ‘Be My Illustrator?’. I was astonished when he graciously responded saying that he’d pass it on to his editor at Scholastic, the incredibly talented author, Rebecca Young. I’m very grateful for the belief of Bec and Matt in my voice as an emerging author. I live between the mountains and sea in Wollongong and manage Poetic Learning and the Poetry in First Languages (PIFL) Project at Red Room Poetry, so my day starts with a commute. I really enjoy the time on the train as it is often composed of writing, reading or listening to a podcast. My day isn’t in full flow though until I’ve cuddled a coffee (long black) in my hands and settled into my desk on Market St, Sydney with the Dream Team. It’s a blessing to work at Red Room Poetry with so many enthusiastic artists and poets. After work, I hit the gym, squeeze in some yoga or a surf or train for hockey before diving into some of my other projects. 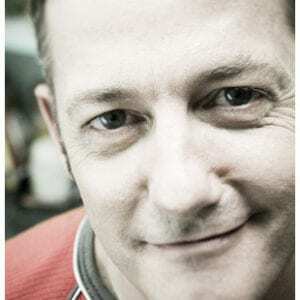 My weekends are spent surfing, playing hockey, riding my motorbike, Knox (2013 Triumph Thruxton 900) with my motofam, writing and catching up with loved ones. They almost always consist of a visit to my favourite café for a coffee and well-done poached eggs. Red Room Poetry is a NFP that aims to make poetry a meaningful place by connecting poets to educational communities. I’ve had the joy of seeing 18,000 students from 450 schools engage with a contemporary Australian poet to create and publish poetry focused on social change. The Poetry in First Languages and New Shoots projects are my favourite. They see students learn First Nations languages on Country with Elders or connect with nature to create and publish poems. Red Room Poetry also lead the largest free poetry writing competition for students and their teachers, Poetry Object. You can find out more about Red Room here. When I was little, I had an experience that made me think that I wasn’t good at writing or reading and it took a lot of excellent teachers to help me see otherwise. So my advice is, do not listen to the voice that says you can’t, both in writing and in life. My hope is that all of the young readers and writers hear me when I say, whatever you want to achieve, you absolutely can. I adore Shaun Tan’s books, my favourite is ‘The Red Tree’. It is poetic and purposeful and the illustrations are phenomenal. I have a real love for the main character’s side kick in ‘The Incredible Freedom Machines’, a little pig. Originally the pig was a small dog that resembled my childhood pet, Rocky. We’re so blessed in life to have creatures to share our adventures with. Other than being a teacher, I always wanted to be a pastry chef or a florist. As I’ve learnt more about my culture though, I’ve felt a real drive to conserve First Nations language and Culture and I know this is going to shape my future work. I love leading the Poetry in First Languages program and see students learning Aboriginal languages on Country with Elders, poets and artists to create and publish poems. My favourite writing fuel is hard poached eggs on Rye with avocado and a coffee from my favourite café, Lower East. 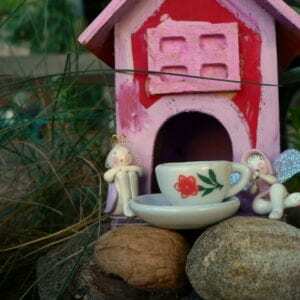 I’m often there writing or working. My writing tends to flows to the soundtrack of one of Ziggy Albert’s albums. His songs are love poems accompanied by acoustic bliss. I’m really close with my family and I see a lot of them in my poetry and picture books. ‘The Incredible Freedom Machines’ is very much a metaphor for my own adventures on my Ducati. The main character looks a lot like I did as a child. My second book will be out in 2019, it’s illustrated by Dub Leffler and is titled ‘Our Dreaming’. This book tells the story of my Yuin and Gundungurra ancestors as was told to me by my Elders. I recently received an offer for publication of my third book, ‘Happy Ever After’. This text is very close to my heart and tells my Mum’s story of being removed as a child from Yuin Country. It will be out in 2020. 10. If you could have one wish for the world what would it be? My wish would be that we all feel freedom from the things that ail us, and from the things that separate us. You can find out more about Kirli Saunders here.